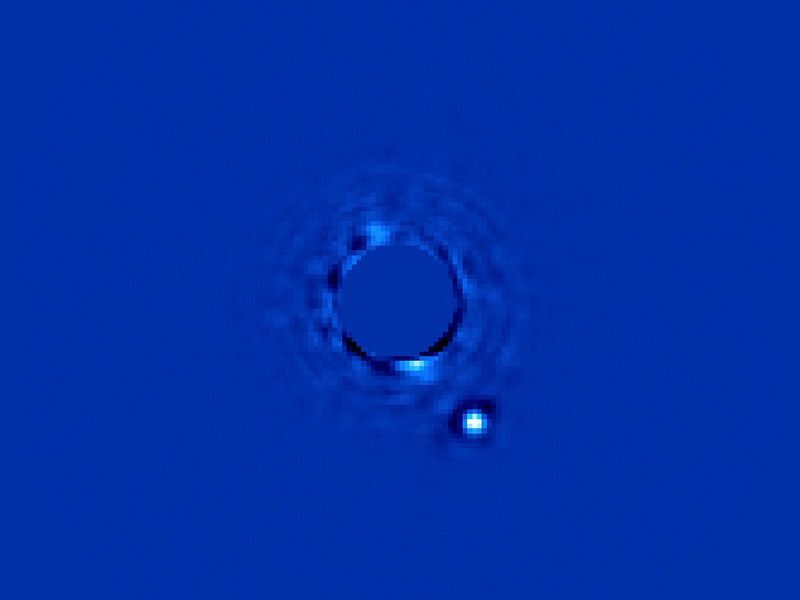 The Gemini Planet Imager took this best view yet of an alien world. Beta Pictorus b, several times the size of Jupiter, is more than 63 light-years from Earth and was captured in this 60-second exposure — a degree in magnitude faster than previous instrument capability. The Planet Imager, which began construction a decade ago, is the next generation adaptive optics instrument at the Gemini South Telescope in Chile, and had its first light in January 2014.